My go-to place to waste the awkward amount of time in between classes would be Memorial Union. Although the weather is only nice for what feels like four months out of the year, when it’s a gorgeous day out there’s no place I’d rather be than the Terrace, even for that hour gap period or for a study break. 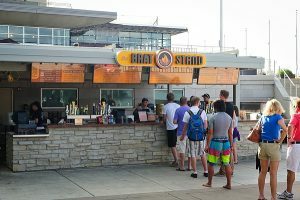 At the Union there are many food options, including the Brat Stand outside, Der Rathskeller, and Daily Scoop, which are all perfect places to pick up a snack and refuel during the day. 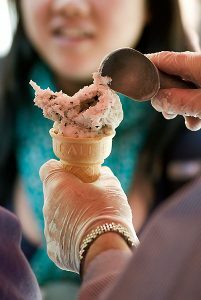 Whether you’re in the mood for a cold treat like Babcock ice cream (personally I’d recommend Mocha Macchiato it’s by far the best), or a sandwich and fries, there are a variety of food options. 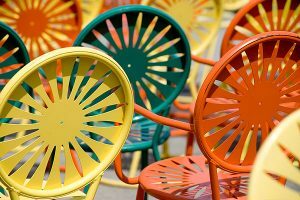 Furthermore, in addition to the seating outside on the iconic, colorful terrace chairs, there is an abundance of seating indoors. There are more lounge type seats and café chairs, which is perfect for when it gets colder outside. Moreover, there is a secret spot behind the theater in the new section of the Union, where you could take a study break in private. It has comfy couches, a fireplace, and it’s an all glass room, so you get an amazing lake view. I love going here in between classes to review materials, or eat my lunch and get away for a little. The terrace has so much to offer, and is a place you can spend a quick break or a few hours enjoying with friends!